Caption slip reads: "Photographer: Navy. Date: 1958-04-17. Reporter: T.T. Assignment: Altitude record. Lt. Cmdr. 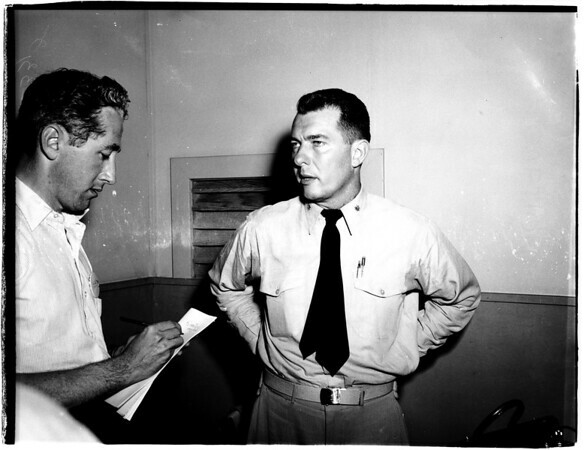 George C. Watkins, 37, at press conference in El Centro".